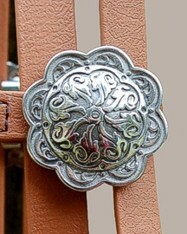 Western brow headstalls, sliding ear headstalls, reins and western breast collars featuring Horse Shoe Brand stainless hardware. 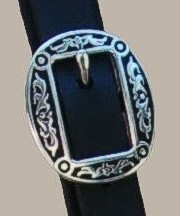 Introducing Horse Shoe brand embossed stainless steel line of western hardware as choice for our western tack in biothane or beta. 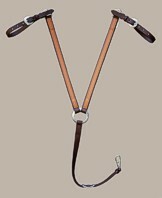 Many styles of sliding ear headstalls, halters, brow headstalls, breast collars, reins and hobbles are made from a variety of materials. 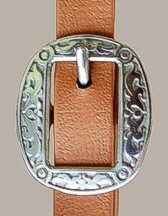 The western tack is offered in solid brass or stainless steel hardware. The biothane, beta series is available in black or chestnut brown. The beta feels very much like leather, but will not get hard like nylon, rot or meldew, and will not crack like leather. Just throw it in the watering tough, water bucket or washing machine, remember the hardware is stainless or solid brass, your choice. 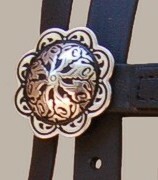 Beta is available in 1/2", 5/8", 3/4" and 1" widths.